I am hearing that a certain “Democrat” are lobbying against HB47, the bill that would repeal the horrible ransom that Democrats had to pay to get Republican criminals to release their bond bill and Grant in Aid hostages last session. Now only one legislator has dropped off HB47 as a sponsor since the bill’s introduction last week, and that legislator is Senator Trey Paradee. But I don’t think he is the one that is trying to kill the bill. No, the culprit could be someone in a leadership role. Someone who now chairs the Joint Finance Committee and who is being lobbied hard by the Chamber of Commerce. Could that certain “Democrat” be Representative Quinn Johnson? A warning to this or any “Democrat” who decides to align him or herself to Republican hostage takers: we remember. This whole site is dedicated to remembering your votes and actions that are contrary to your words to your constituents. Any elected Democrat who chooses to deliberately ignore the poorest of the poor working people under the false pretense that the Republicans are again threatening to hold up legislation such as the Bond or Grant-in-Aid Bill if this bill (HB47) is passed should consider changing their registration forthwith. Any elected leader of the Democratic Party who would succumb to such a threat without challenging those minority leaders in the media and on the floor should reconsider their commitment and ability to lead. Challenges should be made publicly in full view of the voting public. If the Republican Party or its leadership threatens to withhold the vote and support for a carefully crafted and very necessary economic driver such as the Bond Bill than I would suggest that they remove themselves or be removed by House leadership from their roles as members of the Bond committee. The nearly billion dollars in capital investments and Grant-in-Aid money is one of the most important economic drivers in the State. 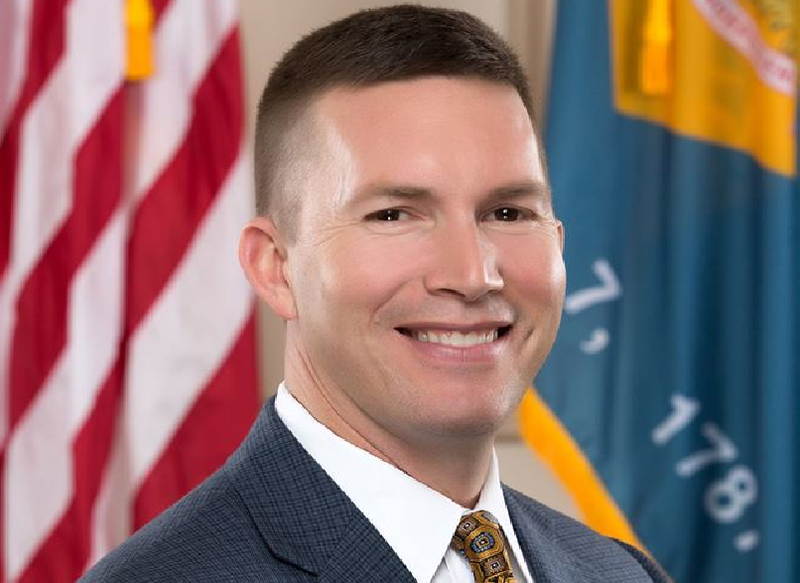 This petulant attitude by Republicans and this willingness of Democratic leadership to allow such a substantial threat to the economic vibrancy of Delaware is akin to the harm inflicted by the federal shutdown and is intolerable. I hope all of the voting public will make themselves aware of the potential disaster threatened here and take necessary action at the polls. Last week, Representative Kim Williams and I introduced a bill (HB47) that would repeal the training and youth wages. These exemptions were created last year as part of a scheme that would hold hostage the passage of the Capital Bond bill. That scheme was initiated because the Republicans claimed to be upset that the General Assembly was going to pass a minimum wage increase on the last day of the session even though the original minimum wage bill (SB 170) had been introduced on 3/28/18. The Republican minority decided to hold the Capital Bond bill and Grant in Aid bill hostage since a three-quarter vote was required for passage. Despite speculation expressed, there was “NO” bargain/compromise struck. Ramone, with the support of his Republican colleagues, crafted an extortion plan that forced this horrible bill to a vote. I could not and would not vote for such an unnecessarily cruel blow to lower income workers and families and advised my colleagues that we should be willing to return after June 30th into September and beyond (if necessary) to pass the Bond bill without despoiling the minimum wage bill. Some view the concession vote for Ramone’s bill as leadership’s failure to prepare for this last minute obstructionism or simply a lack of backbone by leadership, charges I would be hard pressed to dispute. I am sick and tired of the gnashing of teeth and the plaintive wailing of the corporate community ideologues and their political water carriers that some non-existent agreement has been breached. No such compromise was ever made. So spare me the soul-searching repentance served up by the Republicans. Spare me the half-hearted apologies of those who voted for self-convenience over concern for the hardworking needy and bring HB 47 to the floor for a vote. You really are a little wacky. But at least you are sincere.I admire that.